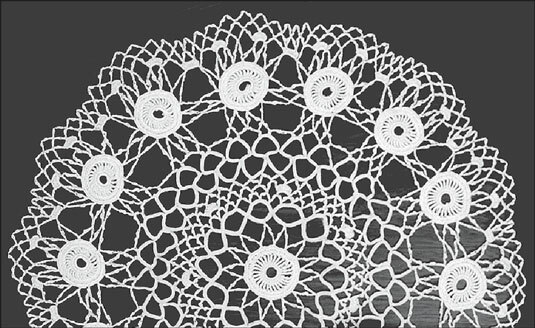 Developed in the mid-19th century, Irish crochet (inspired by the popular Venetian laces of the time) is a stitch technique that combines floral and leaf motifs arranged on a board and then joined together with a network of mesh. It’s usually worked in fine cottons to produce the traditional delicate look, and often the pieces are padded by working over a cotton strand called a foundation cord. You can use Irish crochet to produce beautiful home décor items such as pillow toppers, bedspreads, curtains, and tablecloths — basically anything you’d normally crochet with cotton. Though not often worked these days, you can still find examples of gorgeous blouses, dresses, collars, and evening gowns worked in Irish crochet. Free-form crochet, also known as scrumbling, is kind of like coloring outside the lines. Whereas most crochet patterns have you work a regular, symmetrical pattern in rows of uniform stitches or in neat, concentric circles, free-form crochet opens the door to a more random and artistic approach to the craft. Although patterns can be written for such pieces, the beauty of this technique is that you can use your own imagination and instincts to produce truly unique creations. 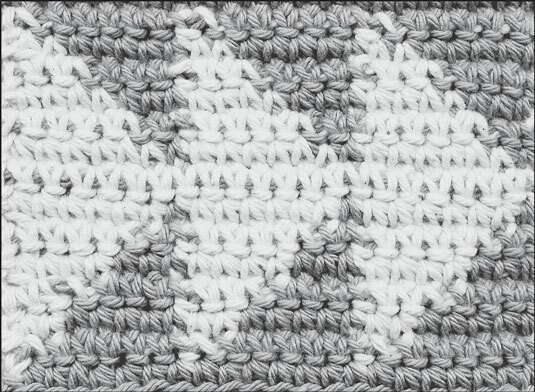 This stitch technique supports irregular stitch heights, curves, and zigzags; a mixture of highly textured areas with lightly textured ones; a combination of rounds with rows; and randomly shaped areas to create a patchwork look like that of the sample shown. Combining different colors and textures of yarns helps enhance the effect of free-form crochet. Free-form crochet lends itself to unique fashions and accessories, abstract and pictorial wall hangings, and three-dimensional sculptures. Surface crochet, which resembles embroidery, is crocheting (generally with yarn) onto a crocheted fabric background. 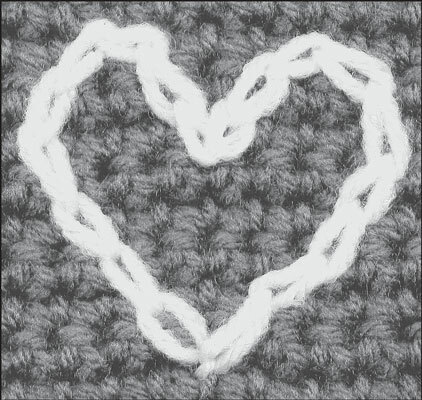 You work surface crochet just like a slip stitch over the surface of the background. You can surface crochet in a straight line to add stripes to an otherwise solid piece or create pictures on your background. It’s frequently used to turn a horizontally striped piece into a plaid by adding the vertical lines afterward. Popular in Africa and South America, tapestry crochet is a technique that’s gaining momentum throughout the crochet community. It’s generally worked in single crochet in charted, repetitive patterns that resemble woven tapestries. You can work tapestry crochet in rows to produce flat pieces or in rounds to produce three-dimensional objects. What makes tapestry crochet different from standard single crochet is the practice of working in more than one color at a time, carrying the unused color under the current color, and working your stitches very tightly. You usually work tapestry crochet with a stiffer material, such as a sport-weight cotton, to produce the characteristic of a stiff tapestry. This stitch technique is ideal for producing baskets, handbags, wall hangings, place mats, and hats. To make beautiful garments (such as scarves, shawls, and even sweaters) with tapestry crochet, work your stitches more loosely and with a soft yarn. 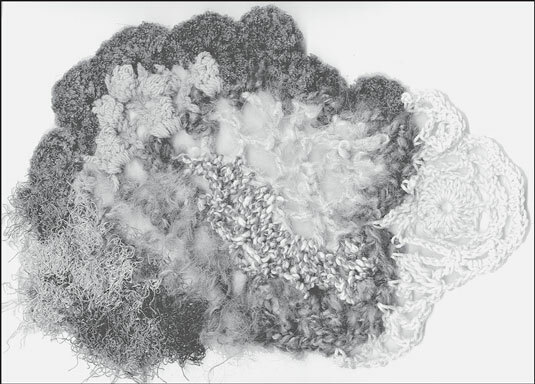 Broomstick lace is a crochet technique that uses a large dowel or needle to form clusters of loops within a fabric. The loops form circles of yarn that produce a unique texture that’s suitable for afghans, shawls, and sweaters. This technique can also work with fine cotton to produce unusual lacy home décor items. Hairpin lace is worked on a hairpin lace loom to produce long strips of lacy loops. The technique was originally worked on actual hairpins, which are much smaller, but has since evolved into a larger version that’s good for making lacy shawls and afghans. Hairpin lace looms are adjustable to different widths, so you can vary the laciness of your strips. You can also vary how the loops are joined together, allowing for a myriad of designs. 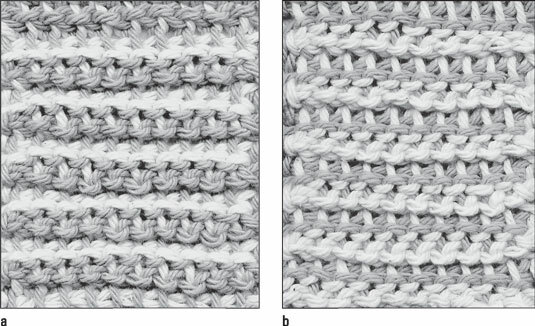 Double-ended crochet (also known as cro-hooking) is similar to working Tunisian crochet. The difference between the two techniques is the hook. 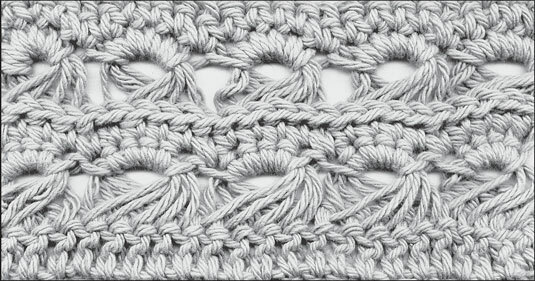 Double-ended crochet uses a long, double-ended hook that allows you to work stitches on or off from either end. This technique is usually used with two alternating colors, working loops onto the hook with one color and then turning the work around and working the stitches off with the second color. 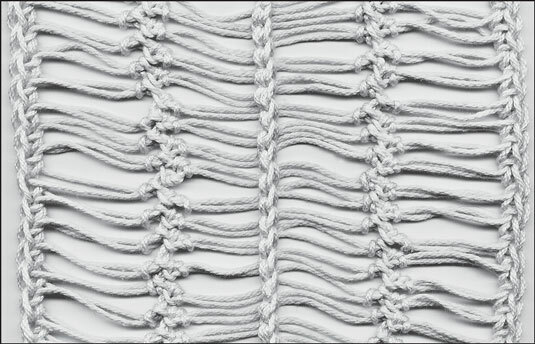 Double-ended crochet produces a fabric that’s reversible because it has a different color pattern on either side. The fabric is softer and more elastic than the basic Tunisian stitch, making it ideal for afghans, scarves, and stoles. Sew them on after you finish crocheting. Crochet them right into the fabric. Make sure that the weight of the yarn is compatible with the weight of the beads. If you’re using a lightweight yarn, don’t use heavy, oversized beads. The weight of the beads can cause the stitches to droop and pull, creating an unsightly mess. On the flip side, if you’re working with a heavier-weight yarn, choose beads that won’t get lost in the stitches.